STATSCORE understands the ambitious goals of our media partners and their need for accurate data presented faster than the hundreds of competitors out there. With this knowledge in mind, we have developed several products to help your business grow and reach the goals that you have set for it. We also know that your needs may differ based on your type of business. This is why we encourage broadcasters, news and sport websites, unofficial club websites, mobile app developers and fantasy games providers to consider all the different products that could fit their needs. 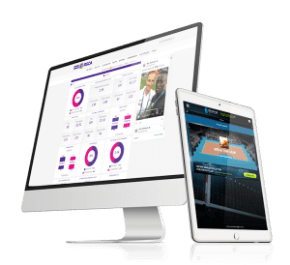 STATSCORE's unrivalled sports data and sports stats feed that covers almost 6,000 competition and 1,000,000 athletes! 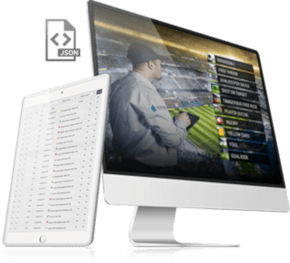 This is a dreamt solution for your business whenever you need a fast, reliable and well organized source of sports data. It can be easily used to power up your website and mobile app projects. If it's a LIVE feed that matters to you, STATSCORE’s ScoutsFeed will provide all the answers to the questions that you might have ever asked. Fast, easy to integrate and packed with in-depth statistics – it has all you need to keep your users satisfied, especially when you decide to use our feed from the venues. This comes with a latency of no more than 2 seconds! Sports and news websites need content that allows them to distinguish themselves from the tide of new projects popping up almost every day. Why not impress your fans with some great pre-game coverage for upcoming events? 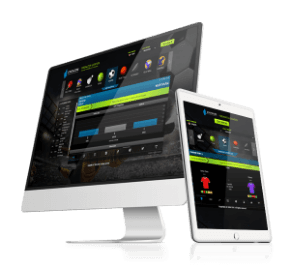 Our PrematchPro widget has it all – stats, comparisons, hints, tables and so much more. It would make a nice addition to your prematch articles. When a sporting event starts and you can no longer satisfy your fans with basic text coverage, what can you do? Well, this is why we built LivematchPro – at the heart of this solution is a powerful LIVE tracker presenting all the key events using great animations. Following a LIVE event has never been more exciting. One of the biggest threats to all sports websites, is the risk that fans go seeking results of minor competitions and less popular sports from others. It might be your problem, if you're not in a position to provide this information. Understanding this challenge well, we have come up with a solution that could prevent your business from loosing precious traffic. ScoreFrame is a powerful score board that covers multiple sports and competitions. 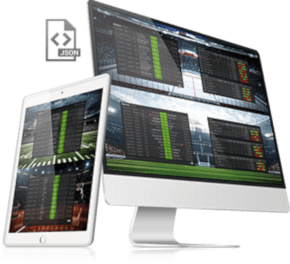 We can also integrate our live tracker and prematch widgets to this fantastic solution to create the most complete score board on the market today! What else could a fan ask for? Providing a competition related online service means you need to gather all the stats, results and fixtures you can find and then try to present them in one location. Now you can take a deep breathe as we provide all of the above for you with a single click. Our minisite can be easily configured to match your visual identity and it will secure all the necessary information for your visitors. What's more, it provides great advertising opportunities to increase your turnover. 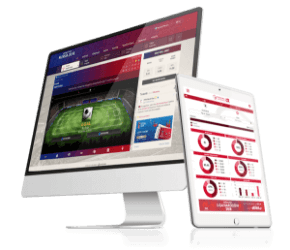 If you run an online service focused on a chosen club, it could be a wise move to provide fans with all the results, fixtures, statistics and even LIVE action to keep them happy. This is why we have developed TeamCenter as a great club-centred matrix of data, squads and social media feeds. 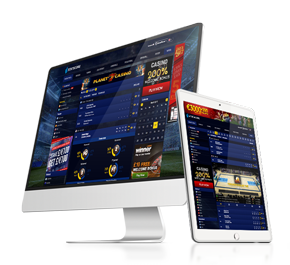 All of these brought together with our perfect in-play visualizations to make sure that your website will be superior and outshine your competitors. WHAT ARE THE BENEFITS FOR THE DIFFERENT TYPES OF MEDIA SECTOR ORGANIZATIONS?